As jobs become more specialised, it becomes increasingly important for companies to clearly and accurately convey their expectations within a Job Specification. When looking for staff, there are some essential items that should be a part of every recruitment effort, saving you time and delivering results. Whether hiring through a recruitment agency or finding candidates internally, it is important to clearly communicate the company’s philosophy, business goals & culture within a job specification. It is a good idea to give applicants a little background about the company such as how long the company has been in business, it’s locations and total number of employees. Providing a job title that accurately reflects the job is imperative in attracting the right candidates for your role. That sounds obvious, but it is not uncommon to read a job title and be none the wiser as to what the job entails! 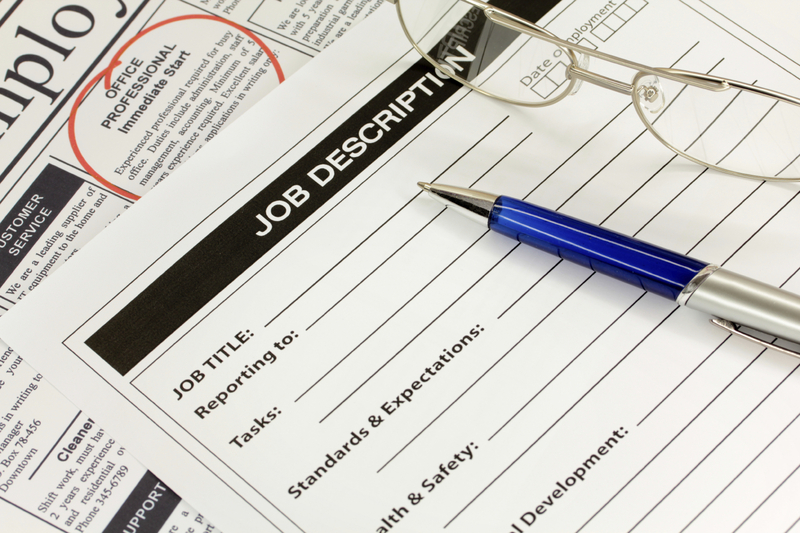 With regards to the job summary, it does not need to be long and detailed. In fact, descriptions that are straight and to the point are best. The skills and qualifications section of a job description is extremely important to the overall recruitment effort. Any specific qualifications that are required for the position should be listed. All technical proficiencies or developed skills necessary to perform the work should also be clearly communicated. UK employment is at a record 75.3% high. Therefore there has never a greater need to entice new talent to your business. Job applicants will want to know as much as employers are willing to share about the benefits of their company – for example health insurance, profit sharing, pension plans, holiday entitlement, bonuses, commission & any other perks of the job. In addition, the job description should indicate whether the position is full or part-time, and the specific work hours that are expected. The exact location of the job is another important piece of information, along with the extent of travel that will be required.